Americansannual consumption of gasoline (for both private and commercial transportation) amounts to more than 140 billion gallonsclose to 500 gallons for every man, woman, and child in the country. With gasoline prices up by almost a third over the past year, the annualized bill for gasoline (direct and indirect) for a typical U.S. family of four is now more than $5,000, a burden that falls disproportionally on those least equipped to bear it. Not surprisingly, there has been a political reaction. Leaders of the major oil companies have been summoned to testify in Congress and there are calls for a windfall-profits tax. But the price of gasoline is linked inevitably to the price of oil, and there is little Congress or the oil companies can do about that, at least in the short term. Geopolitical considerations, notably the instability in the Middle East, and international market conditions (increased demand from China and India, political uncertainties in Russia and Venezuela), determine the price of oil, recently at an all-time high of close to $78 for a 42-gallon barrel of crude. But there is a solution, some would claim. Why not replace gasoline with ethanol, the stuff that adds zip to your beer and your gin and tonic, a fuel produced from homegrown corn? After all, more than 40 percent of the worlds corn is grown in the United States, which can legitimately claim to be the worlds most efficient agricultural economy. Corn grows by drawing carbon dioxide from the atmosphere through photosynthesis. Wont that offset concerns about increasing levels of greenhouse gases and consequences for global warming? How can we pass up an option that appears to have benefits not only for the farmer and the consumer but also for the environmentand also enhances national security by reducing our dependence on imported oil? 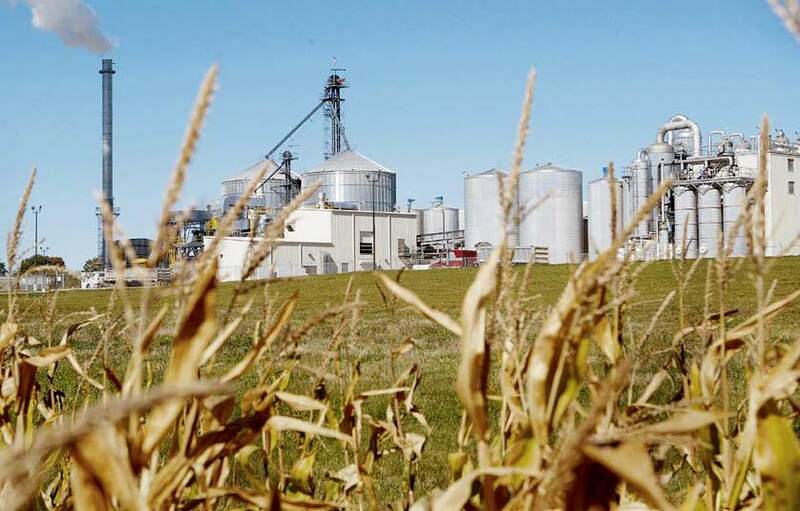 Attracted by these visions, subsidies have been lavished on corn-based ethanol, and investors are rushing to boost production. But unfortunately, the promised benefits prove upon analysis to be largely ephemeral. It is urgent that we understand the realities before proceeding headlong toward corn-based ethanol as the solution to American energy woes. To begin with the facts: Some 3.9 billion gallons of ethanol were produced from corn in the United States in 2005, and sold as a blend with gasoline that accounted for 2.8 percent of total gasoline sales by volume in that year. But heres the rub. Ethanols energy content is significantly less than gasolines. You need 1.5 gallons of ethanol to drive the same distance you go on a gallon of gasoline. So on an energy basis, the savings in gasoline associated with U.S. ethanol use in 2005 amounted only to 1.9 percent of total gasoline sales. The wholesale price of gasoline in the United States in the spring of 2006 was about $2.20 a gallon (with retail prices closer to $3.00 a gallon). For ethanol to be competitive economically, it would have to sell for less than $1.50 a gallon. Yet by May 2006, the wholesale price of ethanol had risen to $2.65 a gallon (or in reality $3.16 a gallon, if you allow for the subsidy of 51 cents a gallon authorized by Congress in 2004 to encourage production). The wholesale price of ethanol in corn-producing states such as Illinois was $3.10 a gallon in July 2006; in California, it had increased to $4.00 a gallon. Allowing for the subsidy and the lower energy value of ethanol, this meant that motorists in California were paying more than $6.00 for enough ethanol to obtain the energy equivalent of a gallon of gasoline! It takes 1.5 gallons of ethanol to provide the energy content of 1 gallon of gasoline. United States gasoline consumption in 2005: 140 billion gallons. U.S. ethanol production capacity in 2006: 4.8 billion gallons. Expected to increase over the next few years to 7.5 billion gallons. One ton of corn kernels yields approximately 100 gallons of ethanol. Fraction of U.S. corn production now used to produce ethanol: 12 percent. Energy yield from corn ethanol equals approximately 125 percent of the fossil energy used to produce it. Primary sources of fossil energy used in U.S. ethanol production: natural gas and coal; there is significant net savings in terms of oil use. Implications for greenhouse gases: as much released in producing corn ethanol as saved in replacing gasoline by ethanol. Goal of the U.S. Department of Energy (DOE): to displace 60 billion gallons of U.S. gasoline use by ethanol by 2030. To meet the DOE objective would require harvesting cellulose from as many as 225 million acres, assuming that plant sources can provide a yield of cellulose comparable to the yield of 4 tons per acre currently achieved for corn. The energy balance of ethanol produced from cellulose could be distinctly positive, assuming that the lignin content of the feedstock is used to fuel the ethanol- producing facilities. It could result also in significant net savings in emissions of greenhouse gases. A number of states have mandated use of ethanol as a 10 percent (by volume) additive to gasoline. (Ethanol serves as an anti-knock agent, increasing the octane content of gasoline. It is being marketed as a substitute for MTBE, or methyl tertiary-butyl ether, which is scheduled to be phased out in this country in the next few years because of concerns about that chemicals persistent carcinogenic contamination of ground water.) The high price of ethanol in California (and in a number of eastern states that have legislated use of ethanol as a gasoline additive) reflects a combination of factors. First is the expense associated with transport: the hygroscopic properties of ethanolit has a tendency to absorb waterrequire it to be shipped by rail or truck in specially designed containers, instead of through the cheap er pipeline distribution system favored for oil and gasoline. Second is the current imbalance between supply and demand. Major investments in ethanol-producing plants may reduce this factor eventually. Production capacity in June 2006 is estimated at 4.8 billion gallons per year. The federal government has set as a goal that 7.5 billion gallons of so-called renewable fuels be deployed as additives to gasoline by 2012less than 5 percent of pro- jected consumption, even if that level of additive production can be reached. Plants under construction are expected to increase current output to close to 7.0 billion gallons per year over the next few years. Is it reasonable to expect domestically produced, corn-based ethanol to satisfy anticipated demand? Some 73.4 million acres of land were harvested for corn in the United States in 200423 percent of the nations total cultivated land area. Anticipating the demand for additional corn for ethanol, the futures market currently projects a 25 percent increase in the price of a bushel of corn for 2007. How will farmers respond to this incentive? There are two possible options. One is to increase the total planted area. The second is to favor corn over alternative crops, such as soybeans. But soybeans are already in short supply globally, and there are plans to use them as a source of biodiesel fuel as well. And if we opt to expand the total cultivated area, we will have to open up much less productive acreage for cultivation, with presumably higher applications of fertilizer and additional reliance on irrigation. Neither option is attractive in terms of either economics or the implications for environmental quality. At a minimum, we should expect higher prices for the production of either ethanol, or food, or both (corn and soybeans are essential components of animal feed in the United States). Brazil has emerged in recent years as an ethanol success story, with its roots in the oil crises of the 1970s. The military government then in power decided to subsidize the production of ethanol from sugar cane and provided generous subsidies and tax breaks to encourage sugar-mill owners to switch from refining sugar to producing ethanol. They also developed a distribution system to ensure that the product was readily available. In 1975, the government ordered that all gasoline sold in Brazil should be mixed with 10 percent ethanol, a percentage increased subsequently to between 20 and 25 percent. Cars capable of running on ethanol only were introduced in the late 1970s, fruits of military research. Even though the program fell on hard times in 1990, when the combination of a poor sugar-cane harvest and high sugar prices led to a serious shortage of ethanol, it is now back on trackthanks to an innovation that allows computers installed in modern Brazilian cars to be programmed (or reprogrammed) at minimal cost to calculate the ethanol to gas mixture present in the tank of a car at any given time and to adjust the operation of the engine accordingly. Today, more than 80 percent of all nondiesel new cars sold in Brazil are flex-fuel. With access to either ethanol or gasohol (a gasoline-ethanol blend, containing up to 25 percent ethanol) at filling stations, motorists in Brazil can base purchasing decisions simply on considerations of price and personal preference. Yet even in Brazil, the supply of ethanol is insufficient to totally supplant current demand for gasoline. Not surprisingly, retail prices of ethanol have risen rapidly thereby a record 14 percent in March 2006 alonein response to increased demand (driven ultimately by higher competing prices for gasoline). Despite plans for significant expansion of production, it is doubtful that Brazil can do much to satisfy both its own and increasing international requirements for the fuel. The United States is not alone in its quest for an increased source of ethanol. The European Union moved in 2005 to mandate a 2 percent blend of ethanol with gasoline, with plans for an increase to 5.75 percent by 2010. And Japan, India, and China are also moving to increase their use of ethanol as the environmentally preferred anti-knock additive for gasoline. So much for supply. What of the energy and environmental costs of producing ethanol in the first place? Ethanol factories in Brazil are generally energy self-sufficient. Burning bagassethe fibrous material that contains the sugar, left behind when the sucrose is separated from the caneprovides the energy needed to boil off the water in the cane juice and to promote subsequent fermentation and concentration of the ethanol. Crucially, it also yields electricity, typically produced on site using turbines driven by steam produced by burning the bagasse. There is even a surplus of electricity available for sale to the national grid. Ethanol as produced in Brazil today is also clearly positive in terms of emission of greenhouse gases. The bulk of the carbon dioxidereleasedeither in producing the ethanol or in its ultimate consumptionrepresents gas that has beenrecycled by photosynthesis from the atmosphere (the process is therefore CO2 neutral). Fossil energy is consumed in producing the nitrogen fertilizer required to grow the sugar cane, in harvesting the cane (to the extent that harvesting is mechanized), in transporting it to the processing facility, and in delivering the ethanol product to market. But the emission of greenhouse gases (nitrous oxide, or N2O, as well as CO2) in the course of these activities is more than offset by the carbon dioxidesaved by substituting ethanol for gasoline and by burning bagasse, not fossil fuels, to produce not only the electricity used to manufacture the eth anol, but also surplus supplied to the national electrical grid. In contrast, the energy balance for the production of ethanol from corn in the United States is only marginally positive: the energy captured in the ethanol exceeds the fossil energy consumed in its production by no more than about 25 percent. (Compare this with the situation in Brazil, wherefrom a fossil fuel point of viewethanol is essentially a free good.) The balance in terms of emission of greenhouse gases is close to a wash for the United States: the reduction in net emissions of carbon dioxideobtained by using corn rather than petroleum as a feedstock for motor fuel is largely offset by additional emissions of the several hundredfold more potent greenhouse gas, nitrous oxide, formed as a byproduct of the nitrogen fertilizer used to grow the corn. The bulk of the energy consumed in producing ethanol from corn in the United States is supplied by coal and natural gas (the latter employed both as heat in processing the ethanol and as the feedstock for production of nitrogen fertilizer). Thus there is a net savings of petroleum when corn-based ethanol is substituted for gasoline, but the overall impact is limited. An increase in the fuel efficiency of American vehicles by 10 percent would result in gasoline savings greater than could be achieved with even a sixfold increase in domestic ethanol production (and would yield an immediate large reduction in greenhouse-gas emissions). Of course the choice need not be either/or. We could do both: increase the efficiency of vehicles while at the same time encouraging additional substitution of ethanol for gasoline. We must recognize also that the production of ethanol from either corn or sugar cane presents a new dilemma: whether the feedstock should be devoted to food or fuel. With increasing use of corn and sugar cane for fuel, a rise in related food prices would seem inevitable. A potential future option that could avoid this dilemma would involve producing ethanol from cellulose, the ubiquitous component of indiges tible grass and wood. Optimists foresee a future where currently idle land could be devoted to cultivation of fast-growing grasses (prairie grass es, for example) and trees (poplars and willows have been mentioned) that could be harvested to produce cellulose to feed a new generation of ethanol factories capable of supplanting as much as 50 percent of current gasoline use, with the added important benefits of reduced emission of greenhouse gasesa great, new, domestically based energy industry. But this would require a major commitment of landas much as 280 million acres: 75 percent of the cropland presently in use or 75 percent of the land currently committed to pasture on grass and range. And breakthroughs in research, difficult to predict, would be required to develop economically viable means to separate cellulose from lignin (the chemical that accounts for the structural integrity of grasses and trees) and to extract fermentable sugars from the cellulose (the critical challenge). It is difficult to predict prospects for success of these efforts, though surely they should be pursued. In the interim, we face the immediate problem of high gasoline prices, continuing dependence on uncertain supplies of foreign oil, and the very real threat of disruptive climate change. We need to act now. And what we do now need not compromise prospects for the success of alternative strategies in the future. Indeed it may help. The best, immediate option would be to conserve: to use less gasoline. We can do this either by driving more with less, or simply by driving less. The growth in U.S. gasoline consumption has moderated to some extent in recent months in response to higher prices. Economists expect it to moderate further, or indeed reverse, if the price of gasoline were to climb to, say, four or even five dollars a gallon. This could happen if, as some experts suggest, oil prices were to increase by 30 percent from their present lofty level to, say, $100 a barrel. But a large fraction of the revenue raised in this scenario would flow (as it does today) to the coffers of the oil-producing states and we could expect serious economic dislocation at home (remember the 1970s fuel shortages). Why not take the bull by the horns and change consumption patterns by domestic action? How about a dollar-a-gallon tax on gasoline, or even more? (Ethanol could be exempted.) That would bring in approximately $150 billion or so a year of additional government revenue (less, of course, if the tax were successful in reducing demand) and provide an important stimulus both for conservation and for the development of alternatives to gasoline. The revenue could be recycled (no net new taxes!) to provide tax relief or subsidized medical care or any of a host of other revenue-neutral benefits for those most directly affected by high gas prices and least able to pay themthe least advantaged members of our society. And there are other actions we could take, perhaps less radical though arguably less efficient from an economic perspective. We could tax gas-guzzling SUVs and increase rebates that subsidize more energy-efficient vehicles. Or we could raise CAFE (corporate average fuel economy) standards and turn the problem over to the auto industry to moderate gasoline demand. Surely there are other possibilities as well. What we need now is a serious debate on national energy policy. At least in the short term, turning fields of corn or grain into ethanol will not significantly reduce what President Bush describes as our addiction to foreign oil. The pro spects for ethanol from cellulose may be more promising than is the case for corn, but the benefits, assuming they exist, surely lie a decade or more in the future. We must forgo looking for scapegoats: the oil companies did not get us into our current pickle and their profits (approximately 8 percent of revenues) are not obscene. We should support politicians who are not afraid to articulate bold new suggestions with clarity and honesty. But we should be hardnosed in holding to task those who would propose easy fixes. Senator John McCain was not totally out of school when he summed up the corn/ethanol energy initiative launched in the United States in 2003 as highway robbery perpetrated on the American public by Congress. We must be careful not to buy into excessive hyperboleabsent careful analysisas we search for alternatives to vulnerable supplies of imported oil. Michael B. McElroy is Butler professor of environmental studies. An extended, more technical discussion of the issues raised in this article is available on his website, www-as.harvard.edu/people/faculty/mbm.